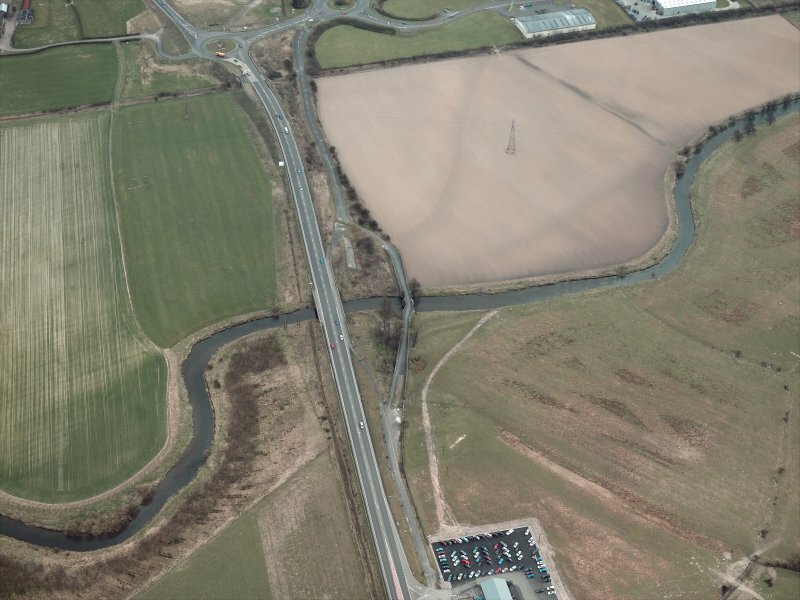 Oblique aerial view centred on the road bridges, taken from the S.
Oblique aerial view centred on the road bridges, taken from the W.
Oblique aerial view centred on the road bridges, taken from the SW.
For successive replacement bridges (adjacent to N), see NS89NW 47 and NS89NW 153. 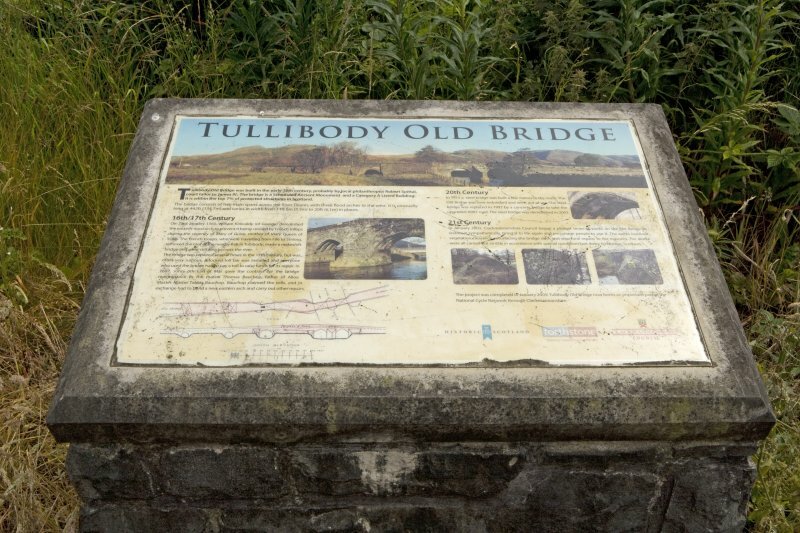 Not to be confused with Tullibody Bridge (to the N of Tullibody, at NS 85732 95960), for which see NS89NE 39. 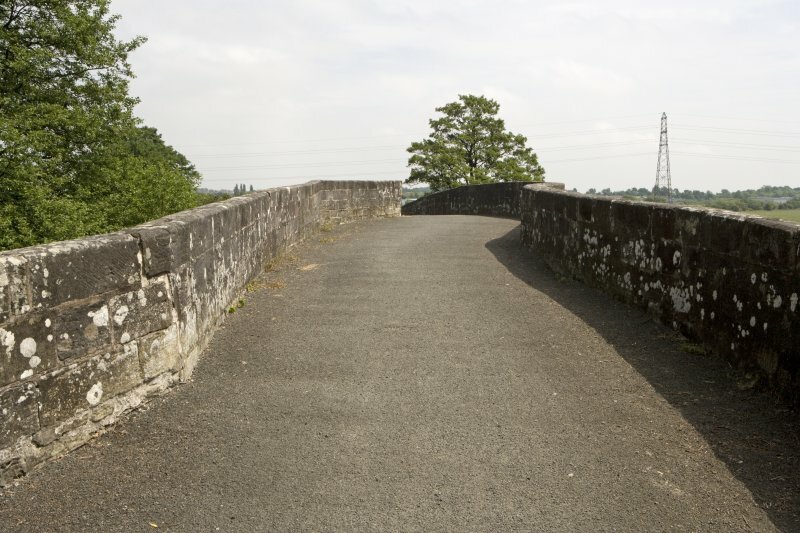 Architect: Contract between Tobias Bauchop, mason, and the Earl of Mar, January 1697 'he shall construct and build a new arch to the east end of the bridge at Tullibody'. Edinburgh City Library: 'Memorials of Alloa' by John Crawford. 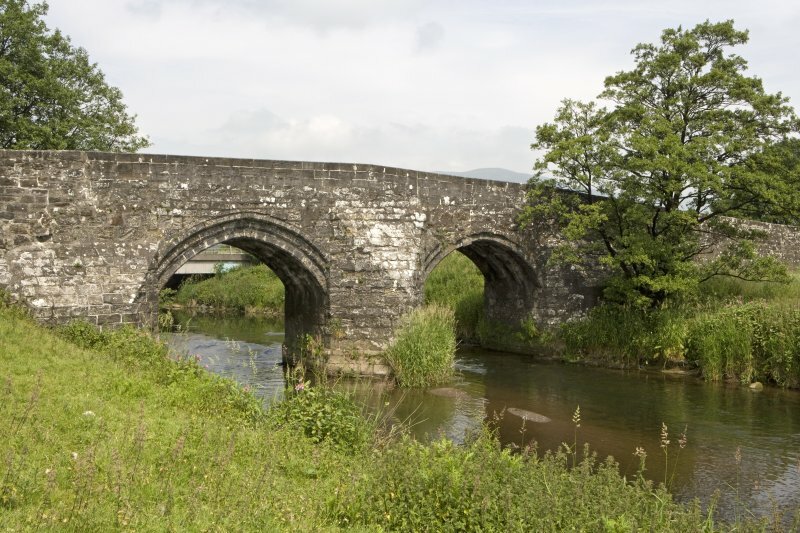 (NS 8465 9514) The old Bridge at Bridgend is no longer in use. It was constructed in three sections and measures about 442ft [134.8m]. 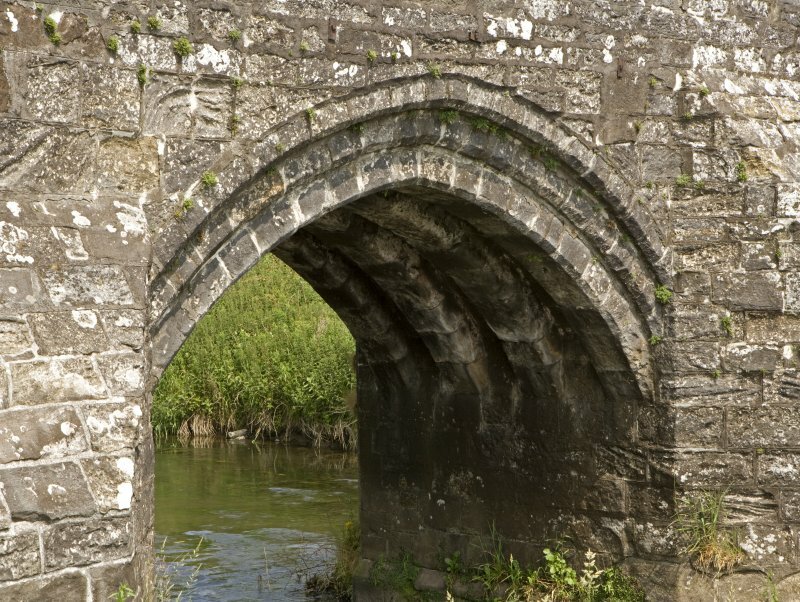 The two arches spanning the river appear to have constituted the original early 16th century bridge. 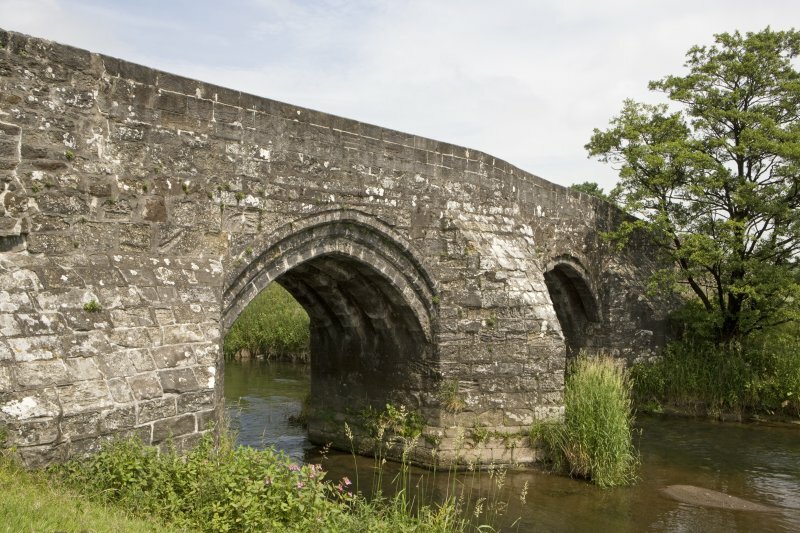 Before 1616 the bridge had been extended to the west and one arch survives from this period. The western end is of relatively late date. 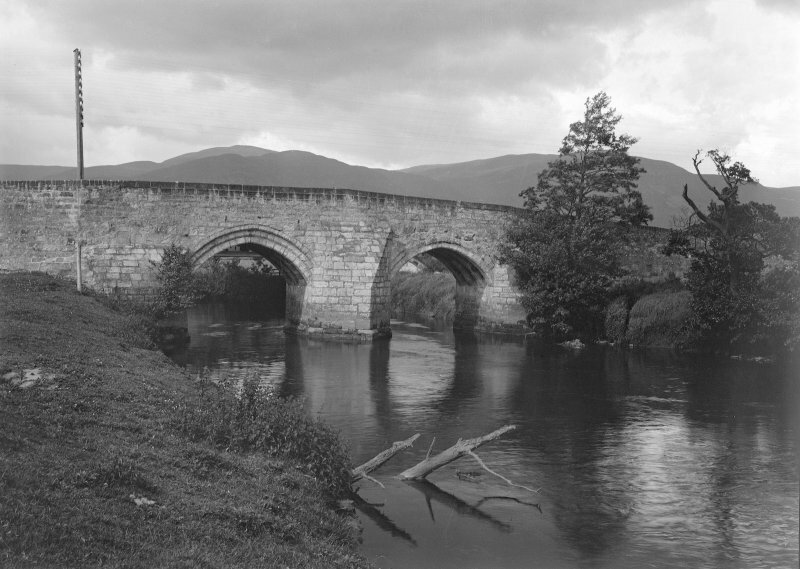 The bridge is said to have been built by Robert Sibbald, tailor to James IV but no authority is given for this attribution. 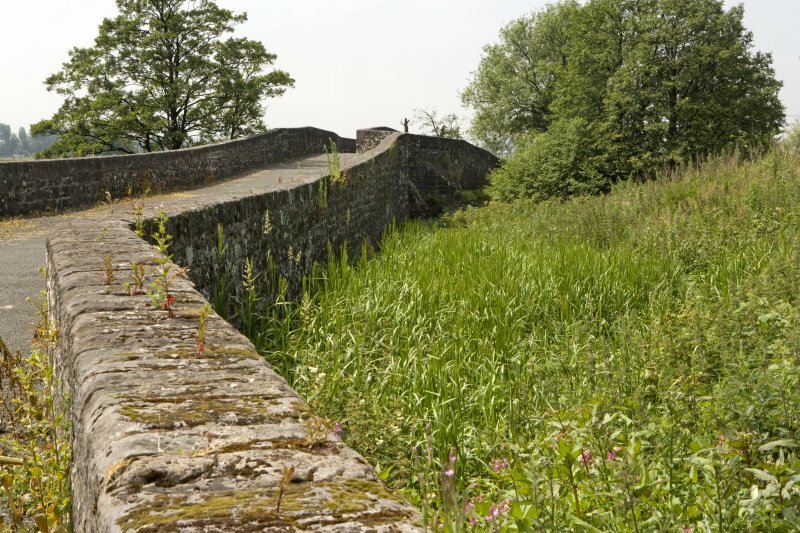 The bridge is much restored, the whole of the parapet appearing modern. Fragments of old masonry are visible in the central portion. Visited by OS (JD) 10 June 1953. 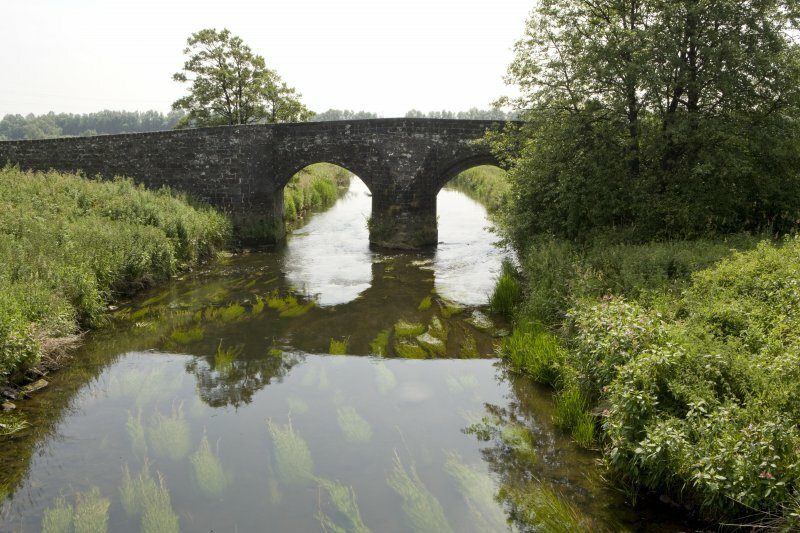 (Listed among 'Bridges not carrying important roads at entry to large towns'). 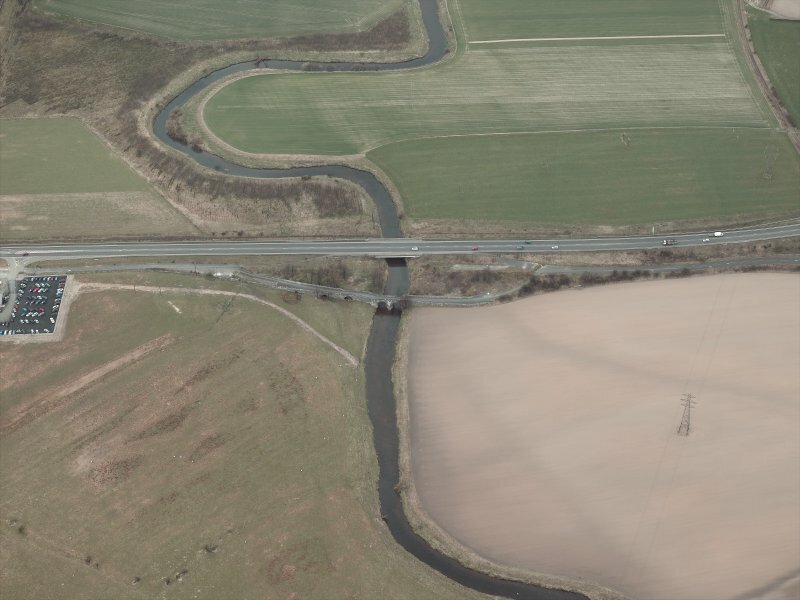 This bridge carries the former line of the A907 public road over the River Devon about 1.6km NNW of its debouchement into the River Forth and just W of Alloa (NS89SE 45). 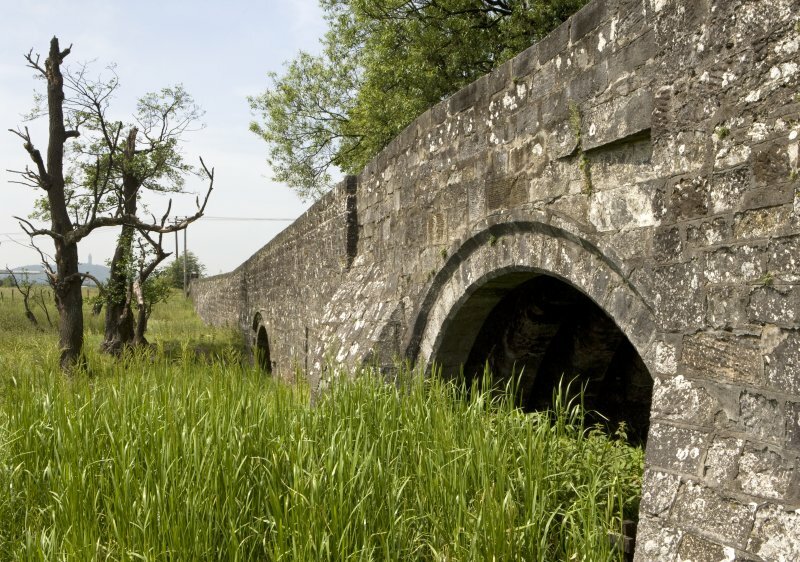 This bridge differs from its successors (NS89NW47 and NS89NW 153) in that both ends fall within the parish of Alloa. 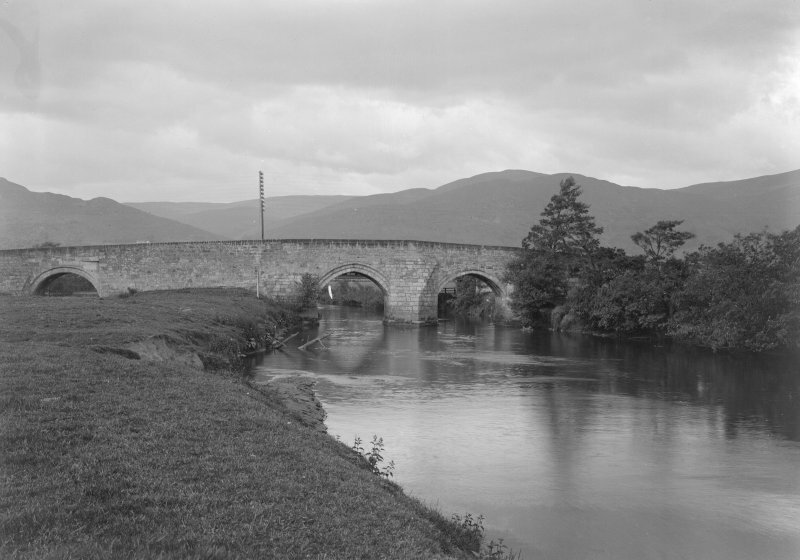 This bridge is depicted, but not noted, on the latest OS 1:10,000 map [no date available] and the current OS (GIS) AIB. The location assigned to this record defines the midpoint of the structure. 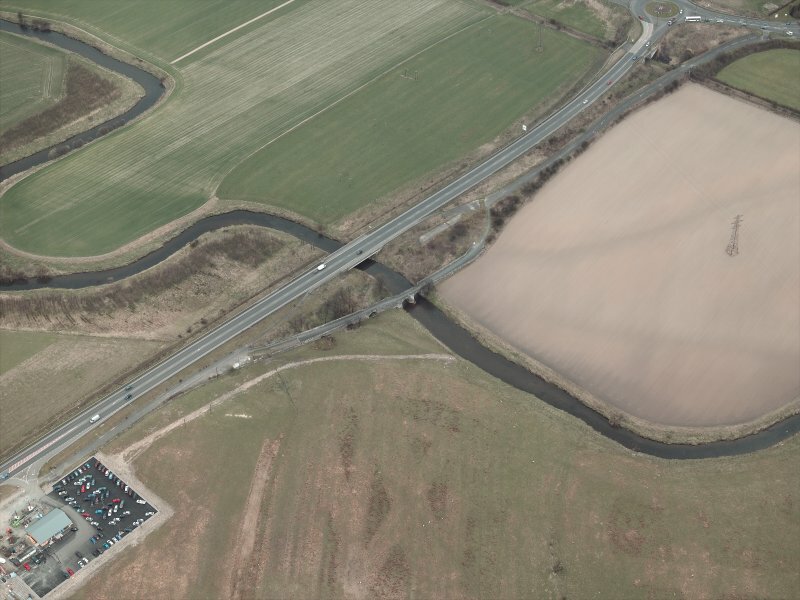 The available map evidence indicates that the bridge itself extends from NS c. 84642 95139 to NS c. 84662 95139, but it is approached over lengthy embanked causeways on both sides. 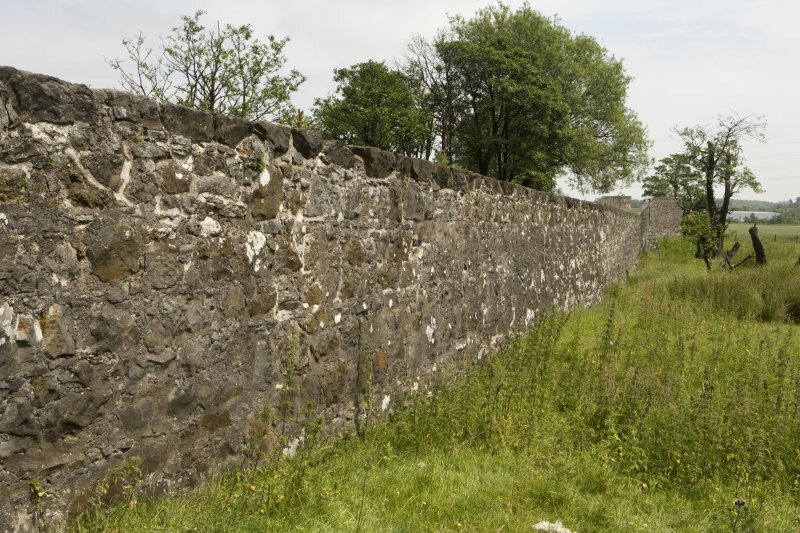 Information from RCAHMS (RJCM), 2 June 2006. 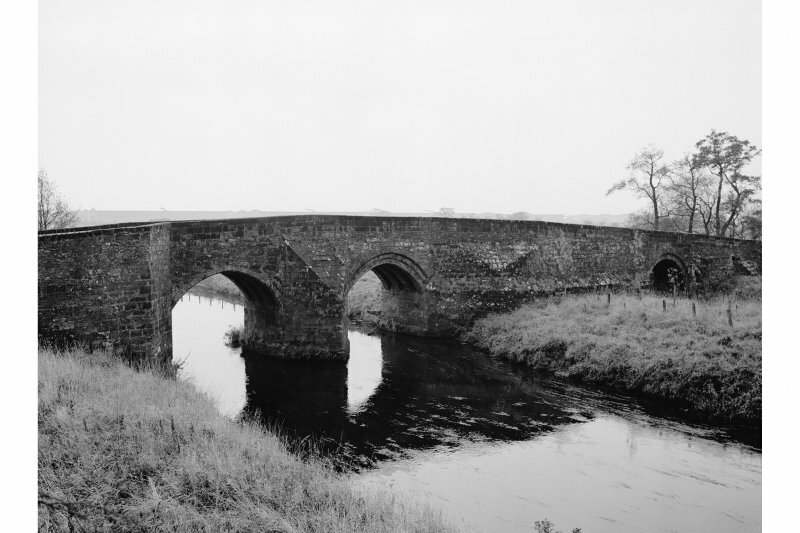 This 16th century bridge over the Devon near Alloa is 442 ft in length, has ribbed main arches of 18 ft span and is 1012 ft– 20 ft wide. 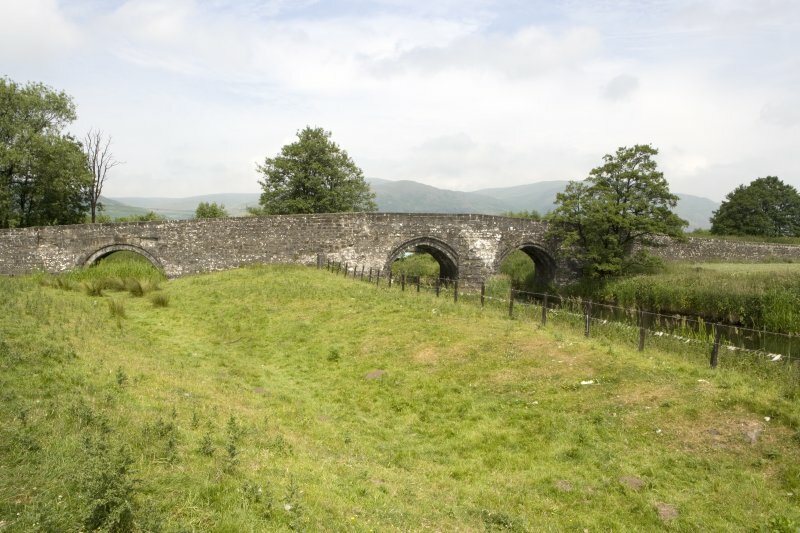 It has been described as the finest example in Scotland of a fortified bridge in which a series of twists are produced designed to effect the throwing of a body of horsemen into confusion. 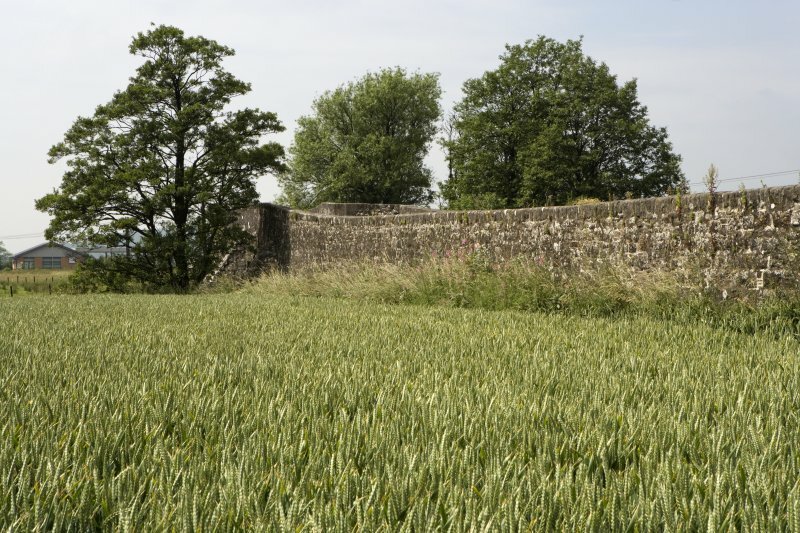 The eastern part is said to date from before 1555 and an extension westward completed before 1616. 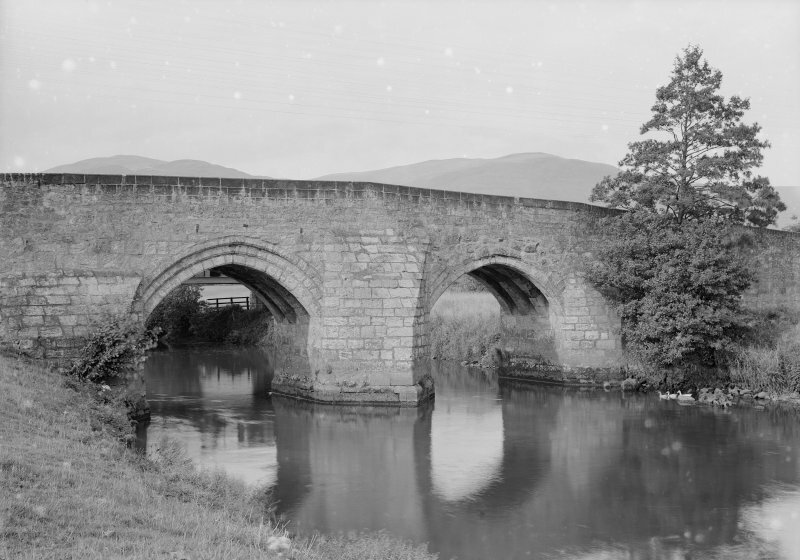 This bridge, now confined to pedestrian use, was bypassed ca.1920 by a single-span steel truss bridge [Canmore ID 47153] alongside (now demolished). 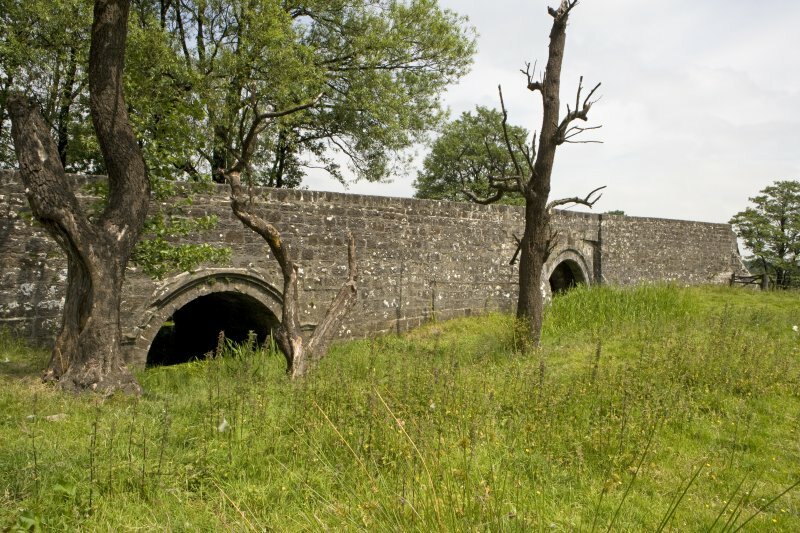 It had arrow-slitted abutment towers designed to harmonise with the old bridge. 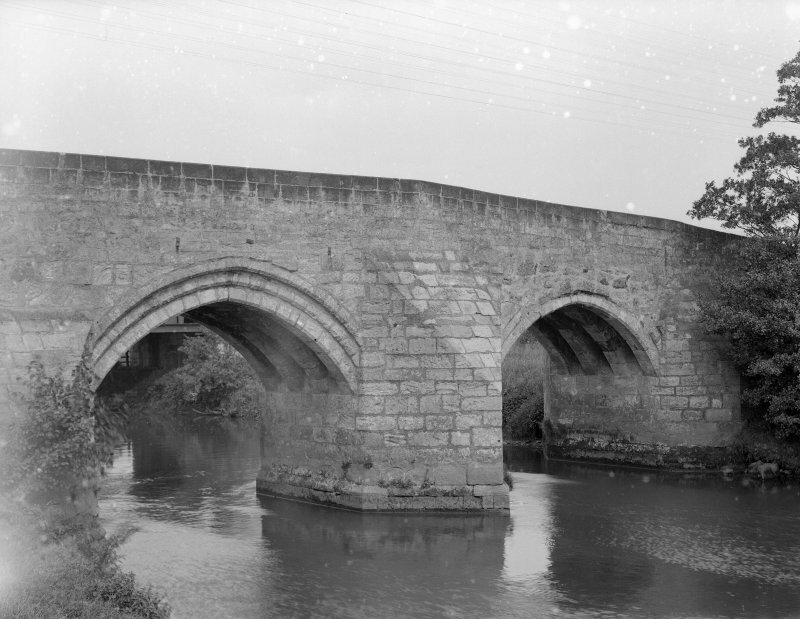 The trusses were of the Pratt or N-girder type with diagonals curiously in compression instead of tension. This departure from normal practice led to speculation that the girders may have been erected upside down.